ALLENTOWN, PA (March 5, 2019) — Lehigh Valley with Love Media won a Gold American Advertising Award at the Greater Lehigh Valley chapter’s event at the Renaissance Allentown Hotel on March 1, 2019. 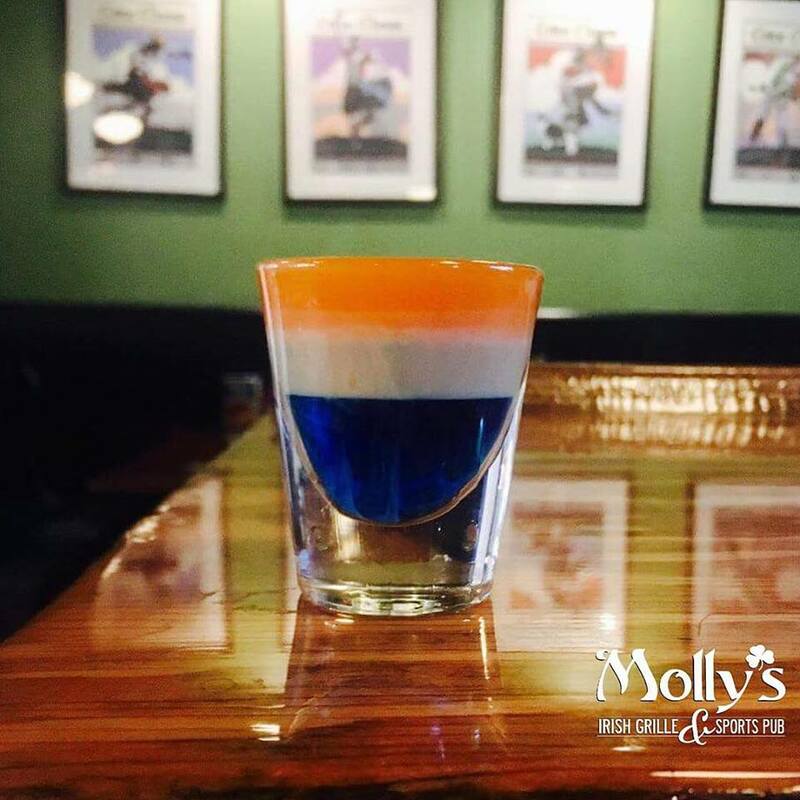 Lehigh Valley with Love Media won the award in the Online/Interactive Social Media, Single Execution category for the company’s work with Molly’s Irish Grille & Sport Pub’s “Tide Pod Shot” social media campaign, which received more than 6 million views and made multiple news and lifestyle reports. 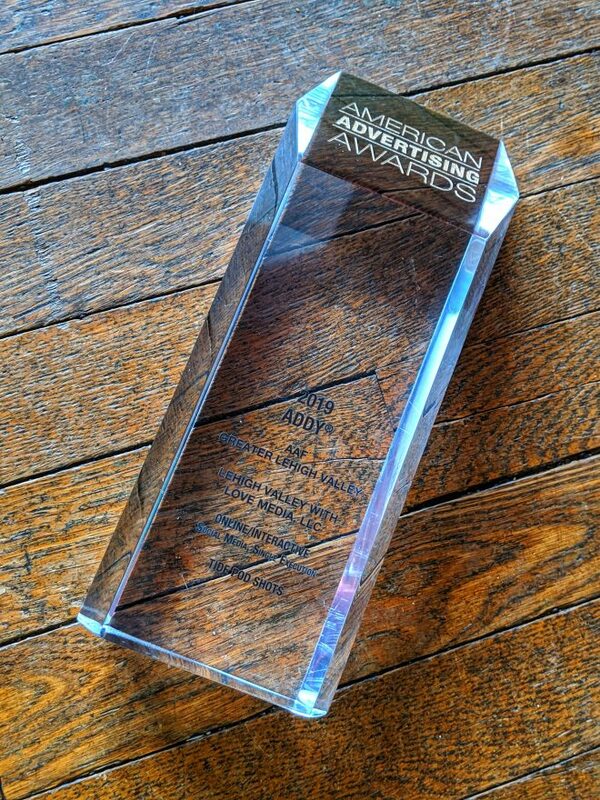 The ADDY Awards are part of the American Advertising Federation – Greater Lehigh Valley. The awards recognize the best of newspaper, television, interactive media and other advertising media in the greater Lehigh Valley area. A GOLD ADDY is recognition of the highest level of creative excellence and is judged to be superior to all other entries in the category. The American Advertising Awards, also referred to as the ADDYs, is the advertising industry’s largest and most representative competition, attracting over 40,000 entries every year in local AAF Club (Ad Club) competitions. The mission of the American Advertising Awards competition is to recognize and reward the creative spirit of excellence in the art of advertising. Conducted annually by the American Advertising Federation (AAF), the local Ad Club phase is the first of a three-tier, national competition. A GOLD ADDY is recognition of the highest level of creative excellence and is judged to be superior to all other entries in the category. Entries that are also considered outstanding and worthy of recognition receive a SILVER ADDY.